By this point, we know just about everything there is to know about the 2015 Mustang: we’ve learned about everything from its 911 Assist feature to its new airbag technology, we know how much it’ll set you back, and we know just about when we can expect to start driving home in them. One factoid has been conspicuously absent, however: horsepower. But Road & Track is putting that to bed with the release of the official 2015 Mustang power and weight numbers. Spoilers: the Mustang is a considerably powerful vehicle. Road & Track got their hands on the numbers, which are “pending certification” but may as well be carved in stone. The base V6 actually loses five horsepower (dropping from 305 hp to 300 hp) and weighs about 30 pounds (manual) or 12 pounds (automatic) more than the outgoing generation. The GT and its 5.0-liter V8 crank up the horsepower by 15 (from 420 hp to 435) and the torque by 10 lb-ft (from 390 lb-ft to 400 lb-ft), but it’s going to be a good deal heavier. Manual GTs will weigh 87 pounds more than the 2014 Mustang GT, and automatics will be 54 pounds heavier. The Mustang EcoBoost will offer 310 horsepower and 320 lb-ft of torque from its 2.3-liter twin-scroll turbo-four, making it more powerful than the base V6. 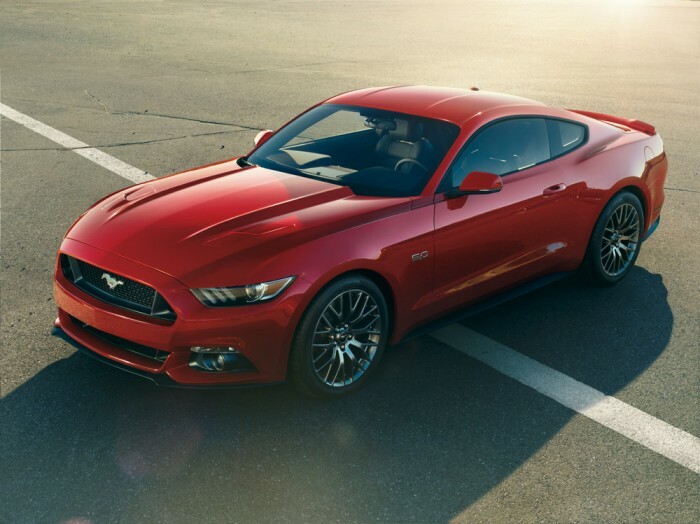 The EcoBoost won’t be lighter, however: the base EcoBoost Mustang with a manual transmission will be 3,532 pounds, about 36 pounds heavier than the V6 manual; the EcoBoost automatic will be 3,524 lbs., or about 6 pounds heavier than a V6 automatic. So there you have it. The 2015 Mustang is going to be pretty powerful. We know this is shocking (shocking) information, but we’re sure you’ll find a way to cope.